Draft: 2013, Toronto Blue Jays, 30th rd. Ryan John Tellez ... Attended Elk Grove High School (Elk Grove, CA), the same school as former Blue Jays catcher Buck Martinez ... Ranked as the 59th-best player available by Baseball America entering the 2013 draft. Among AL rookies in September, ranked 2nd in SLG (.638), 3rd in doubles (9), 4th in OPS (.943), 6th in AVG (.328), T-7th in HR (4) and T-7th in RBI (14) ... Batted .270 (106-for-393) with 22 doubles, 13 home runs and 50 RBI across 112 games for Triple-A Buffalo ... Called up from the Bisons on Sept. 4 ... Made his MLB debut as a pinch-hitter on Sept. 5 vs. TB... Hit an RBI double on the 1st pitch he saw... Became the 7th player in team history to record a hit on his 1st MLB pitch and the 3rd in club history to have a pinch-hit extra-base hit in his 1st MLB plate appearance (Al Woods - HR in 1977; John-Ford Griffin - 2B in 2005) ... Doubled in his first two plate appearances on Sept. 6 vs. CLE to become the 1st player in the live-ball era to have an XBH in each of his first three MLB PA...Added a double in the 8th to also become the 1st player with four XBH in his first five plate appearances...Became the 1st Blue Jay all-time with four extra-base hits in his first two games ... Doubled twice more on Sept. 7 vs. CLE to become the 1st player since 1913 with six XBH in his first eight plate appearances... Became the 1st player with six doubles in his first three MLB games...Became the first rookie with six doubles in any three-game stretch since Joe DiMaggio in 1936...Tied an MLB record with six XBH in his first three career games (Chris Dickerson: six in 2008) ... Hit his 1st MLB HR on Sept. 8 vs. CLE, a solo shot off of Adam Plutko in the 5th inning... Became the 1st MLB player (since 1913) to record seven XBH in his first four career games…Became the 4th player in the live-ball era to have each of his first seven hits go for extras...Also singled for his 8th hit, the most ever by a Blue Jay through their first four MLB games ... On Sept. 11 at BOS, became the 1st MLB player (since 1913) to record seven doubles in his first seven career games... Tied the MLB record with four others with eight XBH in first seven contests (Mitchell Page in 1977, Alvin Davis in 1984, Mark Quinn in 1999, Jorge Soler in 2014) ... Hit his 2nd HR and his 8th double while recording his 1st multi-RBI game on Sept. 20 vs. TB... His eight doubles tied Adam Lind for most by a Toronto batter in their first 14 MLB games...Gave him 10 XBH, surpassing Lind (nine in 2006) for the most by a Blue Jay in his first 14 career contests...Had 10 XBH in his first 40 PA, tying Taylor Teagarden (2008) for the most by any player since tracking began in 1913 ... Notched his 3rd HR and his 9th double on Sept. 22 vs. TB...His 12 XBH in his first 16 games tied for 4th most by any player since tracking began in 1913, behind only Joe DiMaggio (1936), Chris Dickerson (2008) and Trevor Story (2016), who each had 13... Joined Jeff Francoeur (12 in 2005) as the only players since 1913 with 12 XBH in their first 48 PA (courtesy STATS) ... Golfed out his 4th Major League home run on Sept. 28 at TB... Was his 3rd HR vs. Tampa Bay and his 2nd off Tyler Glasnow (also Sept. 22)...His 13 XBH tied for the most all-time by a Blue Jay through his first 21 MLB games (Brett Lawrie - 2011). Assigned to Triple-A Buffalo at the end of spring training and spent the entire season there ... Homered twice in his AAA debut on April 8 vs. Scranton/Wilkes-Barre ... After that initial game, struggled for much of April, batting .194 in the month...Had his average reach .228 on May 11, only to see it dip to .203 at the start of July and down to .199 at the end of the month ... Batted .331 (32-for-103) for the month of August with eight extra-base hits and 14 RBI while drawing 12 walks (.388 OBP, .776 OPS) ... Finished the season with a line of .222/.295/.333 over 122 games while matching a career high with 29 doubles ... Posted a .989 fielding percentage while playing exclusively at first base. Hit .335 (86-for-257) in 72 games from June through August of 2016 while with Double-A New Hampshire ... In 75 games batting cleanup in 2016, hit .317 with a .998 OPS with 38 of his 86 hits going for extra bases (20-2B, 18-HR) ... Set several career-highs in 2016, including games (124), hits (130), doubles (29), home runs (23), RBI (81), walks (63), strikeouts (92) and slugging (.530)...Ranked 3rd in the Eastern League with a .917 OPS, T-4th in HR, 6th in RBI, 9th in average (.297) and 10th in doubles ... Received several awards in 2016, including being named an MiLB.com Organization All-Star, a Double-A All-Star by Baseball America, an Eastern League Mid-Season All-Star and an Eastern League Post-Season All-Star. Recorded his 1st professional multi-home run game on July 3, 2015 vs. the Brevard County Manatees, hitting two in the contest ... Hit a combined .299 (35-for-117) with runners in scoring position during the 2015 campaign ... Was bestowed several honours over the course of the 2015 season, including being named a Midwest League All-Star, three Player of the Week awards (April 27-May 3 and May 11-17 with Class-A Lansing; June 22-28 with Advanced-A Dunedin) and was named to the All-Prospect team and named a Rising Star in the Arizona Fall League ... Was recognized by Baseball America in 2015 as the best hitting prospect in the Midwest League. March 28, 2019 Toronto Blue Jays recalled 1B Rowdy Tellez from Buffalo Bisons. 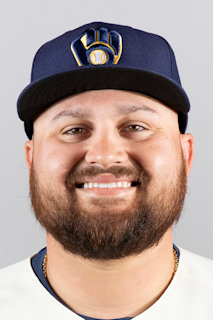 March 24, 2019 Toronto Blue Jays optioned 1B Rowdy Tellez to Buffalo Bisons. September 4, 2018 Toronto Blue Jays recalled 1B Rowdy Tellez from Buffalo Bisons. July 14, 2018 Buffalo Bisons activated 1B Rowdy Tellez from the temporarily inactive list. July 4, 2018 Buffalo Bisons placed 1B Rowdy Tellez on the temporarily inactive list. March 10, 2018 Toronto Blue Jays optioned 1B Rowdy Tellez to Buffalo Bisons. November 20, 2017 Toronto Blue Jays selected the contract of Rowdy Tellez from Buffalo Bisons. April 2, 2017 1B Rowdy Tellez assigned to Buffalo Bisons from New Hampshire Fisher Cats. January 19, 2017 Toronto Blue Jays invited non-roster 1B Rowdy Tellez to spring training. October 20, 2016 1B Rowdy Tellez assigned to Estrellas Orientales. July 28, 2016 New Hampshire Fisher Cats activated 1B Rowdy Tellez from the 7-day disabled list. July 19, 2016 New Hampshire Fisher Cats placed 1B Rowdy Tellez on the 7-day disabled list. April 4, 2016 1B Rowdy Tellez assigned to New Hampshire Fisher Cats from Dunedin Blue Jays. January 12, 2016 Toronto Blue Jays invited non-roster 1B Rowdy Tellez to spring training. September 24, 2015 Dunedin Blue Jays activated 1B Rowdy Tellez from the 7-day disabled list. August 8, 2015 Dunedin Blue Jays placed 1B Rowdy Tellez on the 7-day disabled list. June 25, 2015 1B Rowdy Tellez assigned to Dunedin Blue Jays from Lansing Lugnuts. April 6, 2015 1B Rowdy Tellez assigned to Lansing Lugnuts from Vancouver Canadians. March 31, 2015 1B Rowdy Tellez assigned to Toronto Blue Jays. September 3, 2014 1B Rowdy Tellez assigned to Vancouver Canadians from Lansing Lugnuts. August 21, 2014 1B Rowdy Tellez assigned to Lansing Lugnuts from Bluefield Blue Jays. August 31, 2013 1B Rowdy Tellez assigned to Bluefield Blue Jays from GCL Blue Jays. July 22, 2013 Rowdy Tellez assigned to GCL Blue Jays. July 12, 2013 Toronto Blue Jays signed 1B Rowdy Tellez.